One bright afternoon, I walked past Chilli Deli several times, debating whether I should have another roll, after probably having had one the previous day. Then, stopping at the store, I unexpectedly met a friend (taking a not-so-sick sick day off work...) who I had been meaning to catch up with for a long time! So I did buy the roll, and we had lunch, the end. Website: amazing, this small corner store actually has a website and Facebook page! 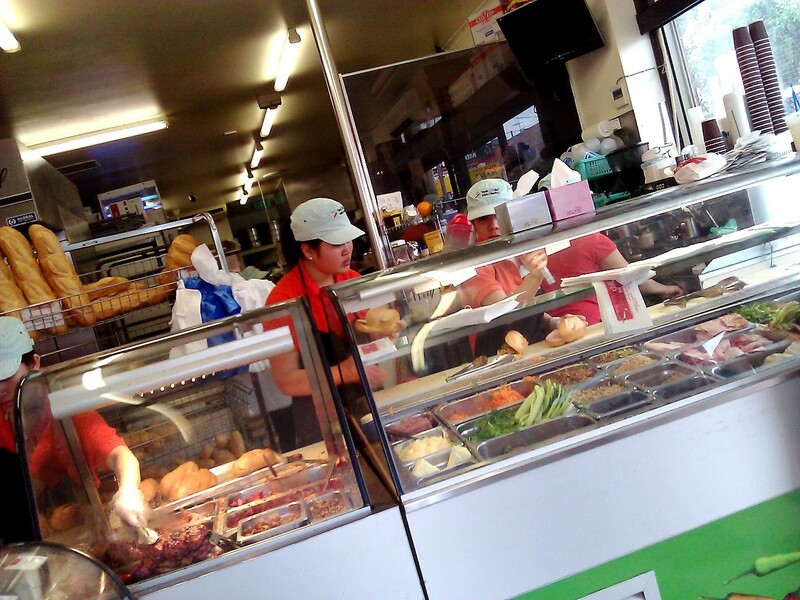 I wrote about banh mi in a previous post. 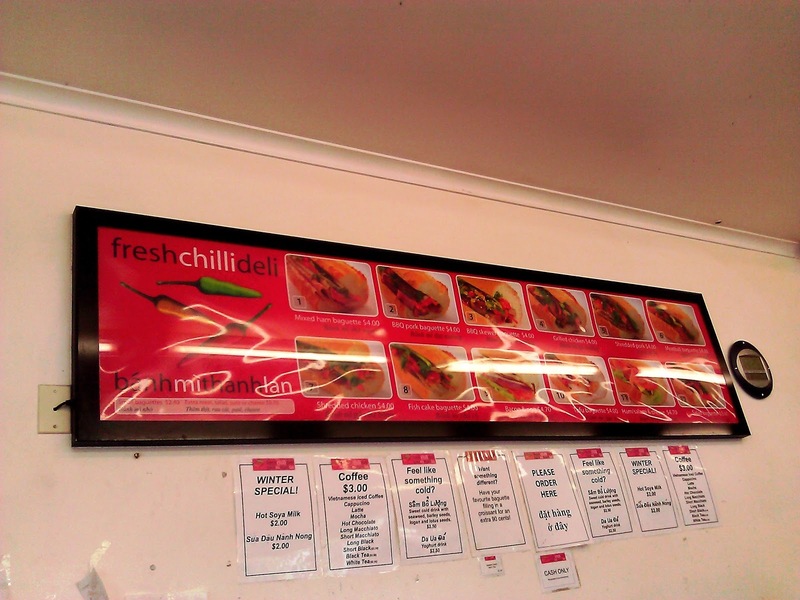 My regular banh mi "hangouts" are either this place in St Albans, or Nhu Lan in Footscray. 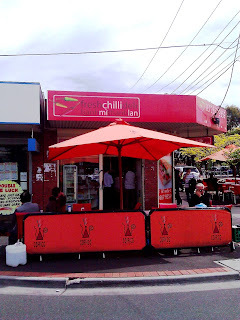 I hadn't been back to To's for awhile, because I find their meat (tasty, and love the chilli but) too salty. 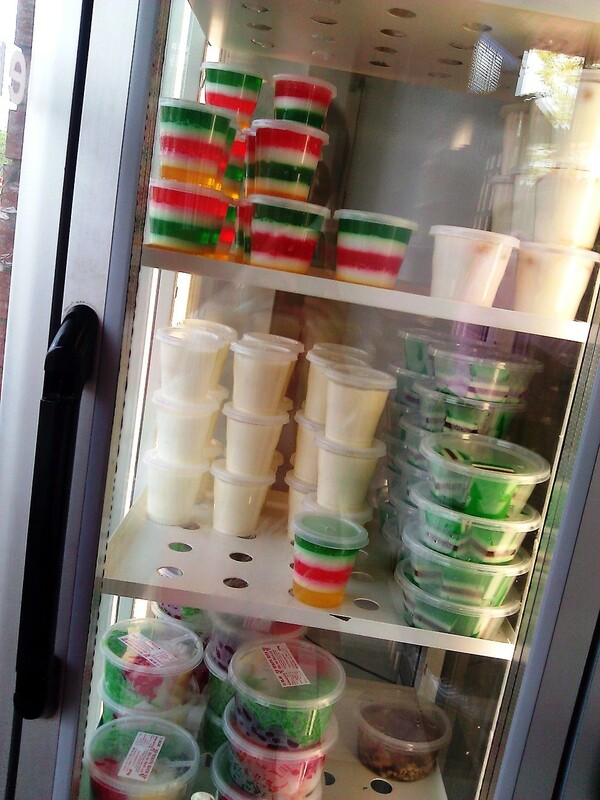 Flavours across the stores are similar. Typical of these stores, you watch the rolls being prepared, bread, main meats, then stuffed with vegetables, and squirted with sauce - not unlike Subway (but nicer)! BBQ pork baguette - "with carrots, daikon radish, cucumber, spring onion, coriander, hoisin sauce, fresh chilli". Always love the rolls here. 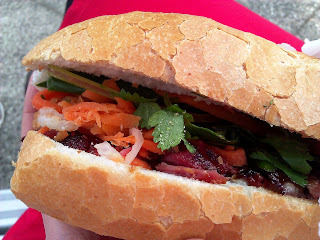 Bread is crisp, but soft and light inside, the meat has a lovely BBQ aroma, vegetables and herbs are fresh and crunchy. BBQ chicken: to be honest I can't really tell if there is much difference between this and the BBQ pork. Meatballs: lovely soft pork meatballs in a tomato-based sauce, which is really delicious, one of my favourites! Shredded pork: involves both shredded pork and shredded pork skin (which is also served with other Vietnamese rice dishes). Mixed ham: different types of Vietnamese styled cold ham, with pate (mmm tasty); personally I prefer the hot meat options though. Desserts - I haven't tried any here yet but there's a range of colourful desserts, desserts with plenty of coconut milk flavours, and more. Other: this store has certainly become popular with large crowds at lunch time! However the service is quick and efficient. If you are looking for a place to sit and eat, there are a couple of outdoor tables available, or enjoy a sunny day on the public benches just halfway across the road on Alfrieda St. 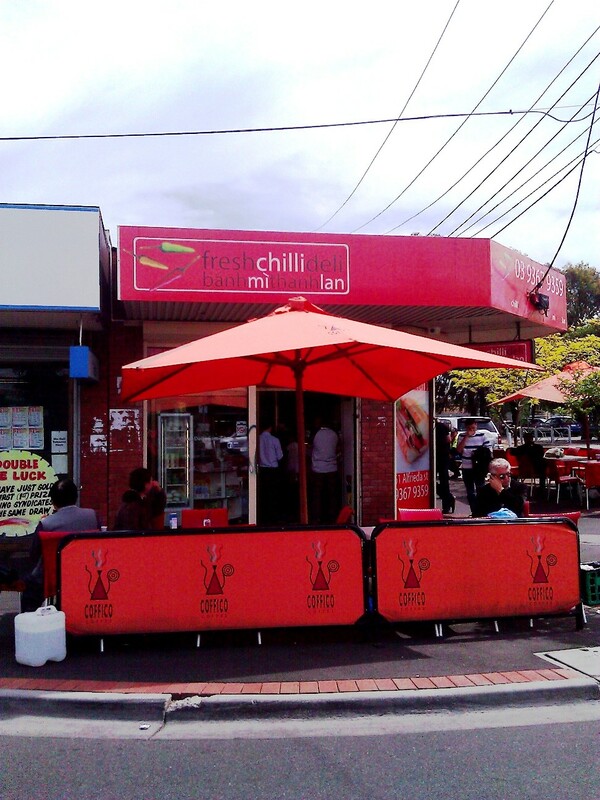 Rating: 5/5 Fresh Chilli Deli serves great, mouth watering banh mi, made with fresh ingredients (true to its name). Makes for a delicious lunch every time!